A Knoxville native, Dr. Vannoy graduated from the University of Tennessee Knoxville and East Tennessee State University James H. Quillen College of Medicine. He completed his internship and residency at the University of Tennessee Medical Center, Knoxville. Dr. Vannoy is Board Certified in internal medicine and is a fellow of the American College of Physicians. He is also Board certified in hospice and palliative care. He is a member of the American Academy of Hospice and Palliative Medicine. 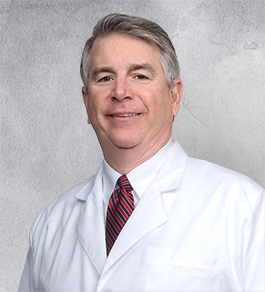 Dr. Vannoy has practiced medicine since 1991 and was a founding member of Summit Medical Group in 1995. He lives in Farragut with his wife and three children. He enjoys University of Tennessee sports.